It has been a busy couple of days for Mark Zuckerberg, the founder of Facebook. On Friday, Mr. Zuckerberg took his 8-year-old company public at a $100 billion valuation. As if that weren’t enough, on Saturday, the 28-year-old multibillionaire announced that he had married his longtime girlfriend, Priscilla Chan. The announcement was made, of course, on Facebook. Mr. Zuckerberg did not wear his traditional hoodie for the ceremony, but instead chose a black suit and tie with a white shirt. The couple met almost a decade ago, while attending college at Harvard. 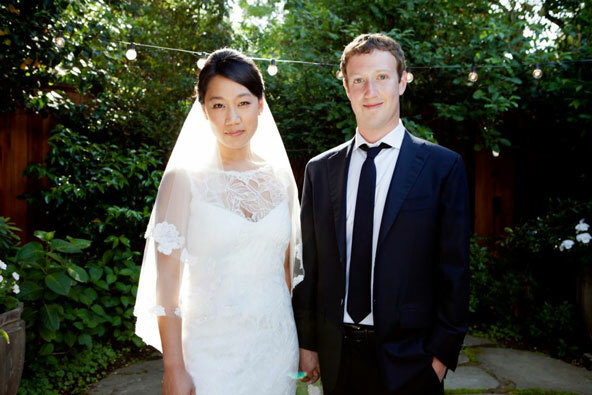 Mr. Zuckerberg and Dr. Chan–she just graduated from medical school– also quickly updated their relationship status to say they were married to each other.